The “standard” edge offered by Plamar is a non-laminated eased edge that is either brushed, honed or polished to match the other surfaces. 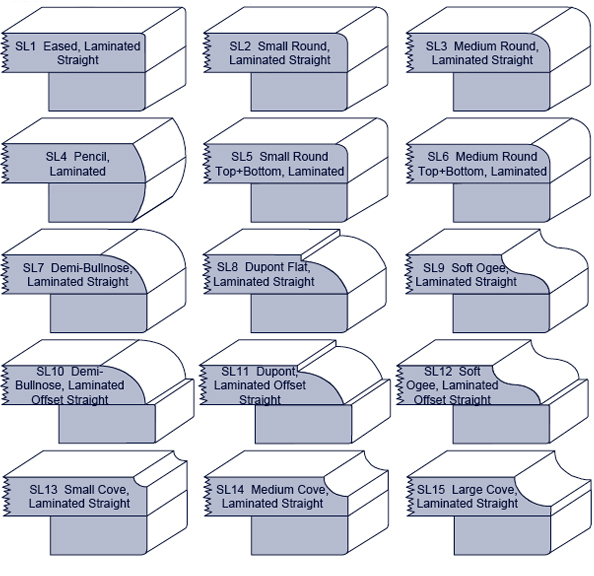 In addition, we offer dozens of other non-laminated, laminated and mitered edge profile options, with most of the more popular options shown below. 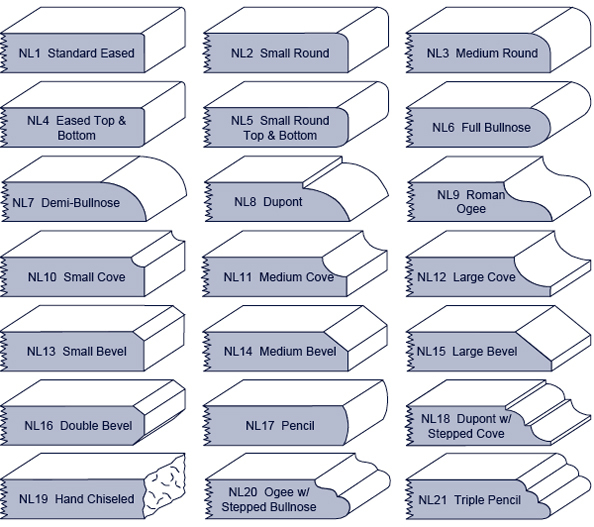 Not all edge profiles are available for all materials and/or thicknesses, and we look forward to helping guide you through your selection process.